There are several functions of the U.S. Small Business Administration that will be affected by the recent government shutdown. Click here for SBA’s Plan for Operating in the Event of Lapse of Appropriations packet. Business functions such as applications for business loans guaranteed by the U.S. Small Business Administration (SBA) will be halted until the agency returns to its normal operations. The agency will, however, still administer disaster loans for businesses, such as those affected by droughts or Hurricane Sandy. Existing loan guarantees will remain in effect. For a complete listing of loans you can and can’t get, please click here. Contractors can find a listing of the contingency plans of the Federal agencies with which they do business on the White House’s website. This includes agencies such as the General Services Administration (GSA), Department of Defense (DoD) and the SBA. You can find a list of full and partial agency shutdowns here. Many Federal call centers and help desks will be closed at this time, but some will remain open. The Federal Service Desk – a call center designed to respond to questions regarding your System for Award Management (SAM) registration will remain open. Additionally, SAM will remain operational; registrations can be updated, managed and processed throughout this time. Several Federal government websites will not be updated until funds are appropriated to their respective agencies. Others, however, will currently remain operational, for example, Federal Business Opportunities (FedBizOpps), the Defense Logistics Agency (DLA), Security and Exchange Commission (SEC). 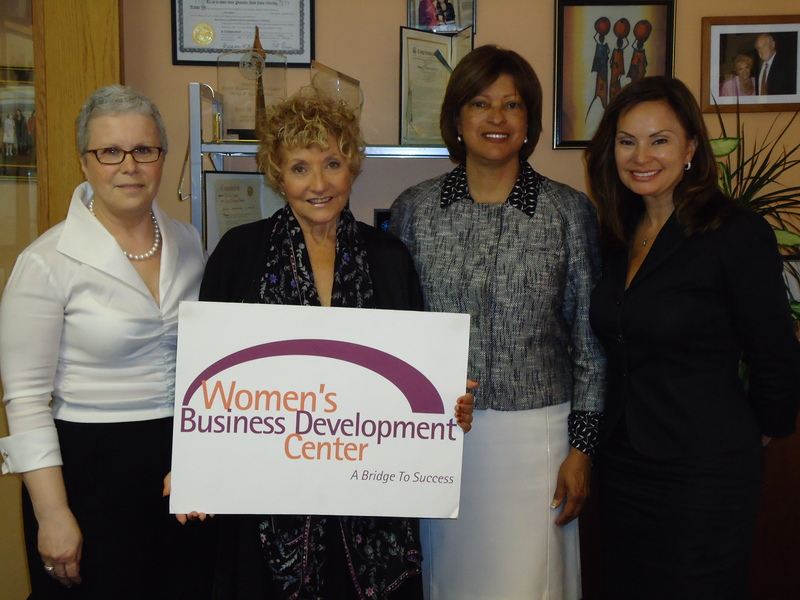 Procurement Technical Assistance Centers (PTAC) and Small Business Development Centers (SBDC) like the PTAC/SBDC at the Women’s Business Development Center are here to provide information as it becomes available regarding how your business may be affected. Please do not hesitate to contact your local PTAC or SBDC. If your business is located in Illinois, please click here to schedule an appointment with our PTAC/SBDC at the Women’s Business Development Center. If your business is located outside of Illinois please click here to find a PTAC in your area or here to locate an SBDC in your area. The speakers and audience may have been 50-plus, but their age wasn’t the issue. Starting a business was. Nearly 50 mature women and men gathered at the WBDC on Tuesday evening, October 2, during the Small Business Administration’s (SBA) “National Encore Entrepreneur Mentor Day.” Marianne Markowitz, SBA regional administrator, and Judith Roussel, SBA Illinois district director, welcomed the group, then turned the program over to the celebrated speaker and media pioneer Merri Dee, now a business owner in her own right as well as president of the executive council of Illinois-AARP. Dee led a lively panel discussion featuring “encore” entrepreneurs on the rewards of starting a business after age 50. The speakers were Donna Smith Bellinger, owner of Group Endeavors; Ben Hollis, former host of WTTW’s “Wild Chicago” and now an independent video producer who started Ben Hollis Worldwide; Joanne Cleaver, a former business journalist who launched a public affairs company Wilson-Taylor Associates; and Alan Jacobs, a former entrepreneur-of-sorts who volunteers at SCORE. Their life experiences were as varied and diverse as they were, which is what made their words of wisdom all the more salient. With part of the evening’s focus on celebrating mentorship, the speakers shared advice on how to be a good mentor and mentee. 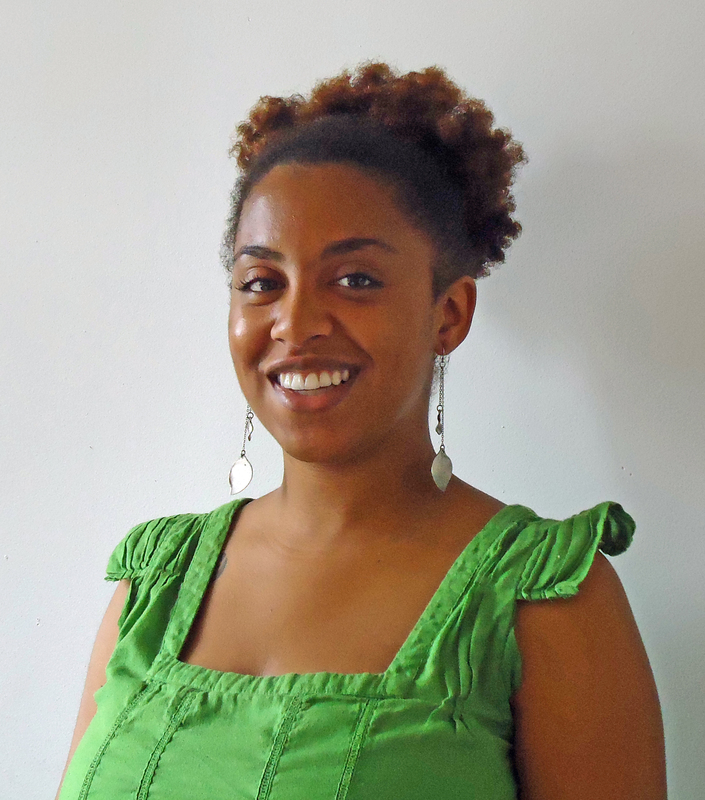 Cleaver, for example, said joining professional organizations helped her develop peer mentors who mentored each other. Bellinger suggested looking for mentors who are honest and direct and who “have achieved what you struggled to achieve.” Don’t overlook the younger generation, she advised. You can learn from each other. The WBDC will survey seminar attendees to determine whether a special affinity group for women business owners age 50-plus, and regular networking and educational sessions, are of interest. Contributed by guest blogger Chris Ruys of Chris Ruys Communications. On April 25th, the WBDC-Minnesota office will be working with the U. S. Small Business Administration Minnesota District Office and the Minnesota Procurement Technical Assistance Center (PTAC) to support a Government Procurement Fair. Below are tips to make any procurement fair a success for you! If you’re interested in registering for the free government procurement fair in Minnesota, click here. from the trade show/fair brochure, identify prospects and create a targeted hit list. The contacts that are most important to you should be your first stop. People in the booths are more alert and patient in the morning. In fact, if you can arrive early to meet with those key contacts, you may beat traffic. Budget sufficient time and resources. Trade shows/fairs often have many components, including workshops and matchmaker meetings, so be sure to block half a day or the entire day, and possibly bring your sales force. Make sure to take note of already scheduled appointments – do not skip an appointment! If you must miss your appointment, provide adequate notice to your contact to ensure they can fill the spot and maintain a good relationship. Also include time for new opportunities when budgeting your time. You never know what’s out there for you and your business until you explore! Always overestimate the number of business cards you need. Ensure your card includes all the essential information including: name, title, company, website, work number, business address, and if this information doesn’t explain what your company does, be sure a one line description somewhere on the card. Before you hand your card over, put the date of the fair on it to give a point of reference to the recipient. Taking the time to do your homework will give you an edge, as knowing what different agencies do can help you act more professional. Being able to ask smart questions, as opposed to “What do you buy?” is essential. You should already know what the agency buys before approaching the table. Dress in a manner that distinguishes you while still being professional. Don’t forget to follow up with your new contacts and act on items you promised. By taking quick action and touching base with new contacts you show that you have initiative and take seriously what you discussed. Keep in mind the people working at the fair see hundreds of individuals in one day – make sure they see you again a few days later in their inbox or voicemail. What else do you find useful when attending procurement fairs? 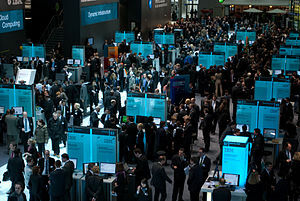 What about business expos and conferences? Take a look at our article on how to have effective outreach during those as well! For more tips on how to make the most productive use of your visit to a Procurement Fair, please visit http://www.summitinsight.com/blogviewd.asp?id=93. For the first time in about 25 years, the Small Business Administration recently changed its definition of “small business” in a variety of industries (see chart below). The end goal for these changes is to increase access to federal contracts and access to capital. 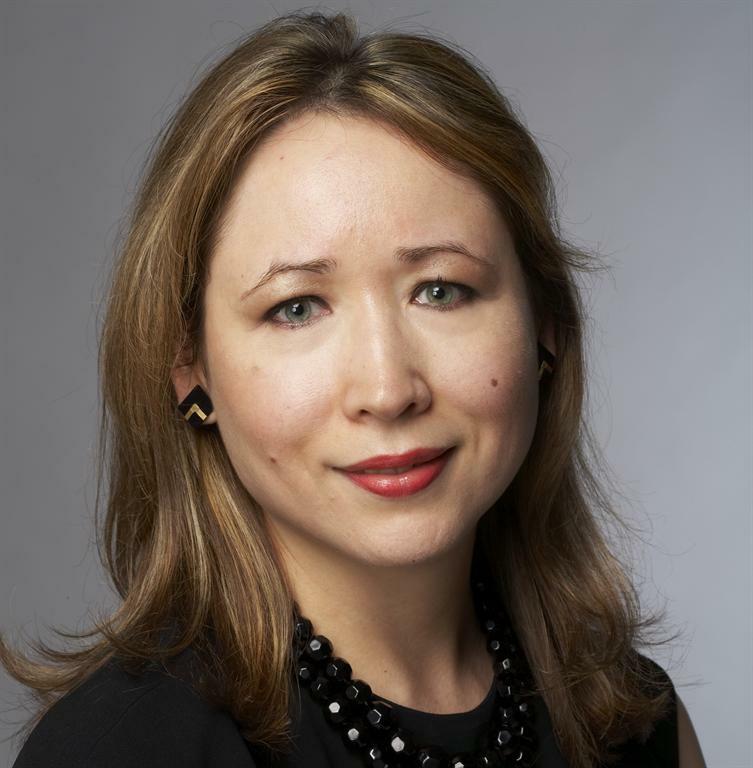 “It allows small businesses to retain their small-business status and contracting officers to have a larger selection of small businesses to choose from for contracting opportunities,” said a SBA spokesperson. The changes go into effect March 12,2012. How do you think they’ll impact your small business? Chart provided by: Cherry, Bekaert & Holland, published originally here. Although Small Business Saturday is well known amongst small businesses, consumers may be in the dark when it comes to this economy-boosting event. #smallbizsat is November 26th this year, the Saturday immediately following Black Friday and the weekend before Cyber Monday. (Don’t forget to enjoy Thanksgiving in the midst of all this!) The purpose of Small Business Saturday is to stimulate locally-owned small businesses and in turn help the economy. Simply put, if you’re a consumer: SHOP! If you’re a small business: PARTICIPATE! Participating in Small Business Saturday is made easy for you. Powered by American Express, Small Business Saturday’s website provides marketing materials, easy how-to guides and even an app! Make the day lucrative for your customers. Check out all the materials here. The WBDC has partnered with Women Impacting Public Policy to support Small Business Saturday, and we’re doing so gladly as everyone benefits when locally owned businesses are supported, (we are particularly fond of women owned businesses). Small Business Saturday has this great feature on their Facebook Page. Simply type in your zip code, and they’ll give you a list of registered participants to visit. What’s in it for you? Look at it like this. Buying a dress from your local boutique puts money directly into the woman’s pocket who just rang you up. You just helped pay for the shop owner’s groceries, buy her kids school clothes and put gas in her tank. For every $100 spent at a locally-owned business, $68 stays in the local economy, compared to only $43 if spent at a national chain. * Doesn’t that just make you feel better about your spending? Are you participating? As a consumer or a small business owner, or both? Let us know in the comments below! On November 4, 2011, the U.S. Small Business Administration (SBA) announced it has revamped its CAPLines Loan Program to better correspond with the lending practices of most banks. Changes are a result of suggestions to improve the process from lenders at over 150 banks. “These changes were based on conversations with lenders in all 50 states. We listened to them and created a program that works for small businesses and lenders alike,” says Steve Smits, SBA associate administrator for capital access. The purpose of the CAPSLines program is to assist small business owners in meeting their short-term and cyclical working-capital needs. The program addresses five specific lines of credit: seasonal, contract, builders, standard-asset based and small-asset based. The CAPLines Loan Program began in the early 1990’s, but due to regulations and procedures that required lenders to diverge from their standard lending practices, the program only produced about 1,300 loans in 15 years. In comparison, other SBA loan programs produced nearly 40 times that amount. Previous CAPSLines Program rules did not adequately address the needs of smaller businesses requesting temporary capital for projects requiring the purchase of the materials necessary to fulfill contracts. The rules also had no provision to handle the needs of small businesses that are run virtually and have no physical site. Will these changes benefit your small business? Let us know your thoughts in the comment section below. Kristin Travis is Program Assistant at the WBDC. 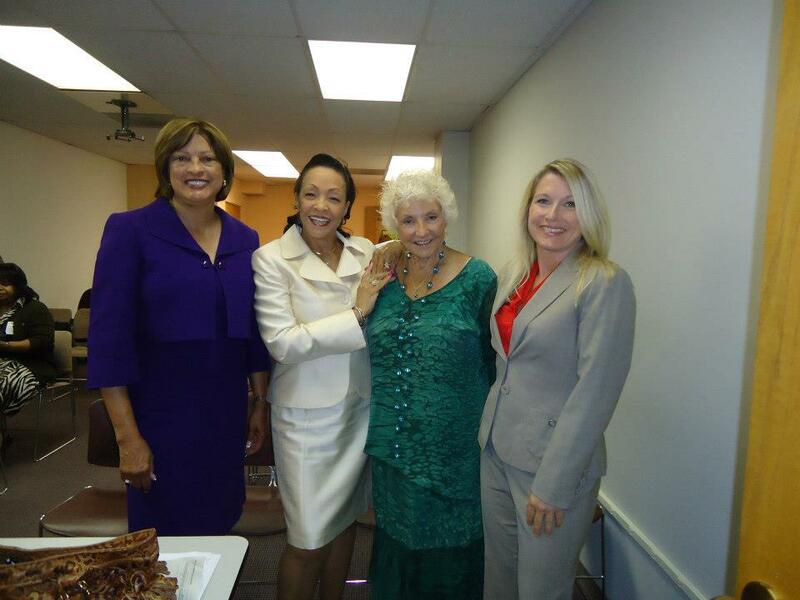 Pictured from left: Emilia DiMenco, WBDC Chief Operating Officer; Hedy M. Ratner, WBDC Co-President; Judith Roussel, IL District Director, SBA; Rosie Rios, U.S. Treasurer. 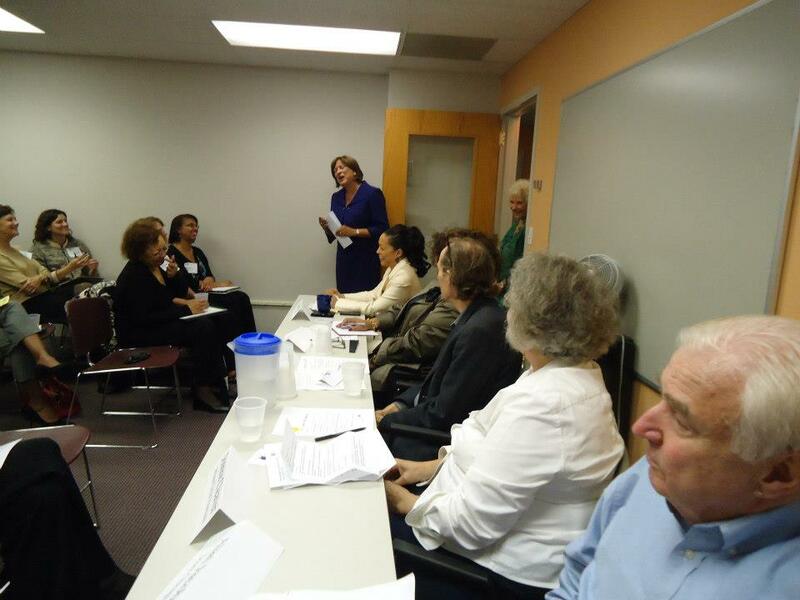 Last week, the WBDC had the honor of hosting a roundtable discussion with U.S. Treasurer Rosie Rios. Treasurer Rios and other White House Business Council members will host these roundtables in at least 100 communities across the country by year-end, with the purpose of listening to local businesses and getting feedback on how the Administration can best support their growth. The WBDC is committed to advocacy on behalf of women and minority business owners in both the public and private sectors, and we applaud the administration’s efforts to hear from business owners and incorporate their views and concerns into the development of programs and policies. Treasurer Rios shared her passion for supporting small businesses and women in business. She’s also led several initiatives which have highlighted the role of women in the economic recovery of the past few years, and she participates in the White House Council on Women and Girls. While she was the only woman confirmed in the Treasury Department in 2009, there are now five Senate confirmed women in the Treasury. It was our great pleasure to introduce Treasurer Rios to 20 successful Chicago-area women business owners, all whom are clients of the WBDC. Business owners represented a variety of industries including construction, IT, child care, printing, management consulting and food. Many shared that while they have found innovative ways to continue growing, access to capital remains difficult. Small business owners also need better and increased communication about government contracting opportunities, mentor-protégé programs and the new SBA Women-Owned Small Business (WOSB) Contracting program. Government contracting will be a major emphasis at the upcoming SBA Illinois Small Business Week event on June 30, 2011. For more information, read Treasurer Rios’s post on the U.S. Treasury blog or view photos from the roundtable on the WBDC’s Facebook page.